The Cheyenne High School Business Professionals of America, BPA, organization has partnered with Keep Oklahoma Beautiful and H.I.S. Paint to help clean up and to help beautify the local Cheyenne community. As part of this statewide initiative, sixty-six community structures across the state of Oklahoma are being renovated and cleaned up. 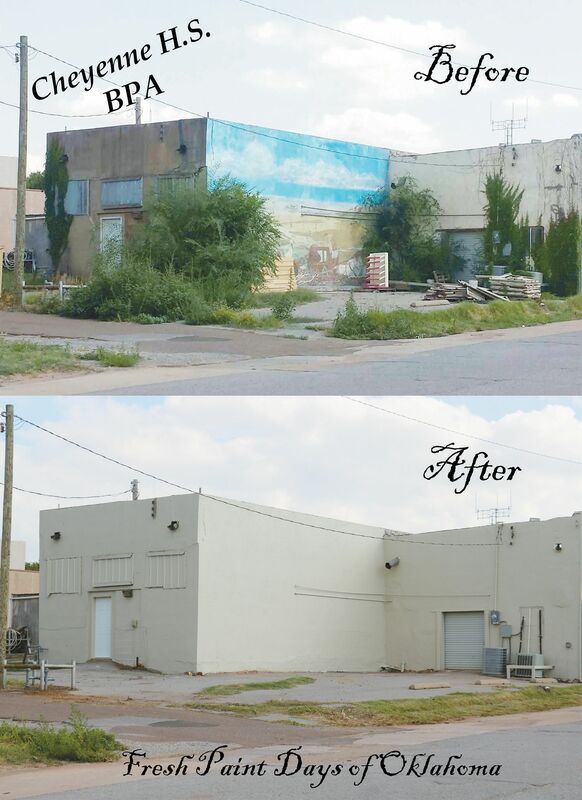 H.I.S Paint donates the paint and Public Service Company of Oklahoma, PSO, provides a monetary stipend for supplies that are needed to transform communities, one building at a time.